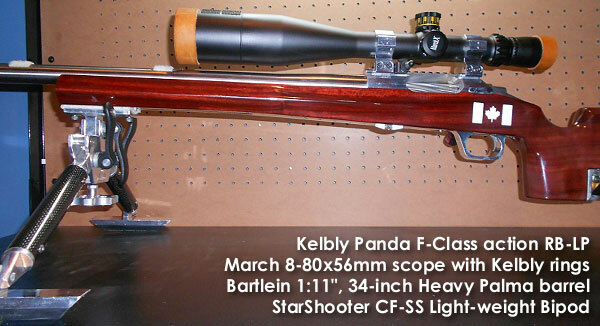 The answer here is simply to use a cutter tip with a wider angle — 30 to 40 degrees. 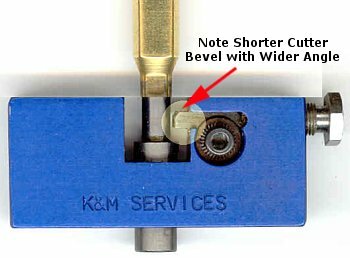 The cutter for the K&M neck-turning tool (above) has a shorter bevel that better matches a 30° shoulder. 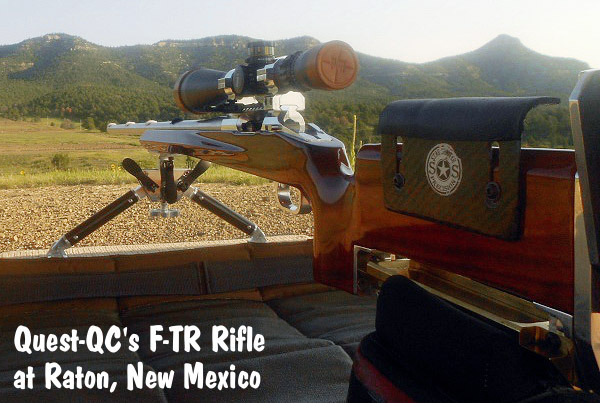 There is also a 40° tip available. 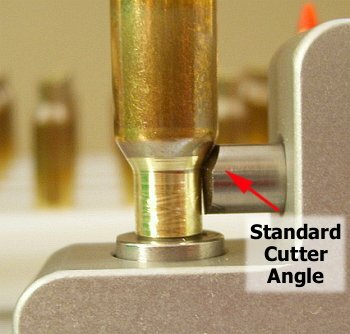 PMA Tool and 21st Century Shooting also offer carbide cutters with a variety of bevel angles to match your case shoulder angle*. 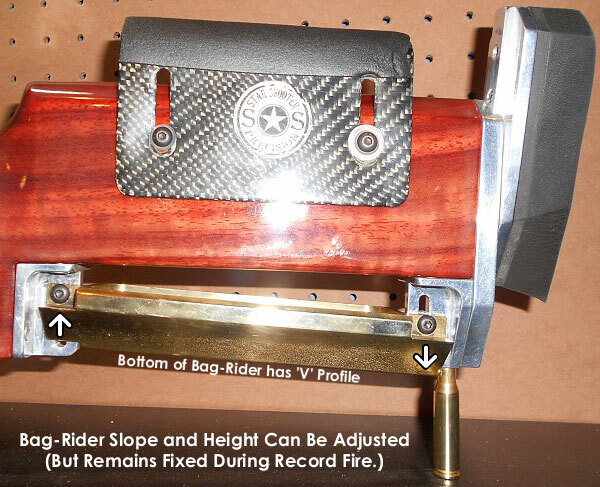 WalkerTexasRanger reports: “I went to a 40-degree cutter head just to address this same issue, and I have been much happier with the results. 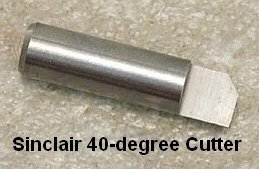 The 40-degree heads are available from Sinclair Int’l for $13 or so.” Forum Member CBonner concurs: “I had the same problem with my 7WSM… The 40-degree cutter was the answer.” Below is Sinclair’s 40° cutter for its NT-1000, NT-1500, and NT-4000 neck-turning tools. Item NT-3140, it sells for $12.95. 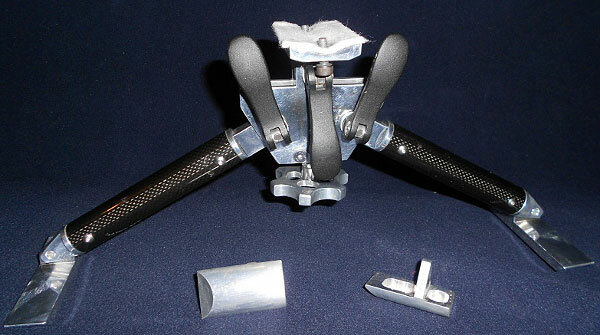 There is also a 40° cutter for the NT-3000 tool, item NT-3340 ($13.95). * 21st Century sells carbide cutters in: 15, 20, 21.5, 23, 25, 28, 30, 35, 40, and 46 degrees. PMA Tool sells carbide cutters in: 17.5, 20, 23, 25, 28, 30, 35, and 40 degrees. 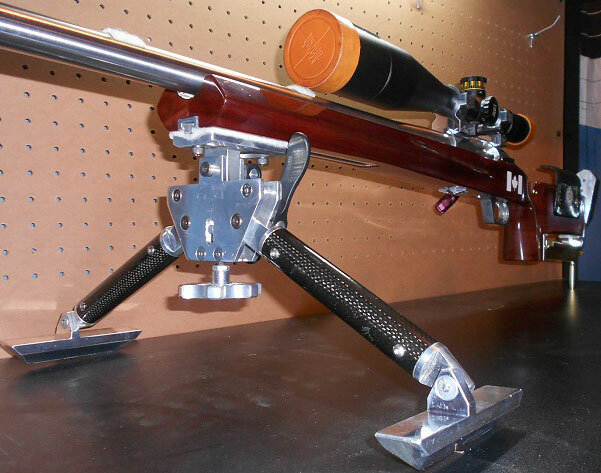 Share the post "Tool Tip: Optimize Your Cutter Angle for Improved Neck-Turning"